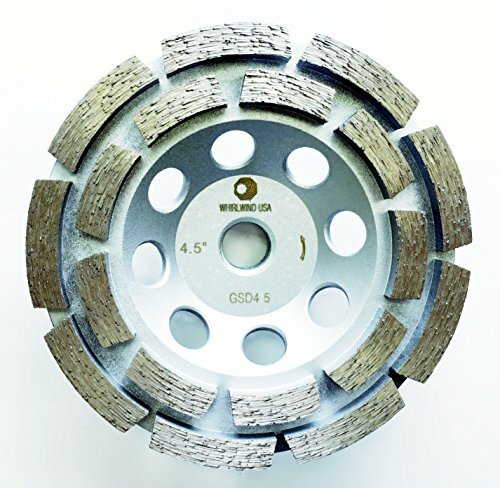 Whirlwind diamond cup wheels are for grinding and smoothing a wide variety of materials. From concrete to mortar to remove glues, mastics and epoxies. Each cup is precision balanced for vibration free grinding and a smooth finish. Can be used wet or dry. GSD series have double row standard grade with higher diamond concentration for longer life and higher speed.